The Damdami Taksal is a Sikh seminary or school – that was founded by the tenth Sikh Guru, Sri Guru Gobind Singh Jee. It was set up to impart the spiritual and profound teachings of Gurbani (Sikh Scriptures) and it has now become a travelling university that imparts many faculties of teaching of Sikhi (the Sikh faith). We will now outline how the Damdami Taksal was founded. Sri Guru Gobind Singh Ji was residing at Sri Anandpur Sahib when a Sikh was heard reciting his daily prayers. On a daily basis this Sikh would read the whole ‘Panj Granthi’ which is a collection of prayers and when he was reciting the prayer named ‘Baavan Akhri’ he read the word ਕੈ as ਕੇ by mispronouncing this, he had made the line of Gurbani sound derogatory to the Guru when in actual fact it was in praise of the Guru. The Creator knows His own ways & limits; As does the Guru who has dominated the world like a great warrior. By changing the ਕੈ to ਕੇ the meaning changed to – ‘what does the Guru know?’ Implying the Guru does not have wisdom about God. The Gursikh who made this error was made to realise that Gurbani is an ang (limb) of Guru Ji and making a mistake while reciting Gurbani is akin to hurting the Guru. Following this, Pyare Bhai Daya Singh Ji, along with other respected Gursikhs, requested the following to Sri Guru Gobind Singh Ji. "Oh Keeper of the poor! Bless us with the understanding of Gurbani. 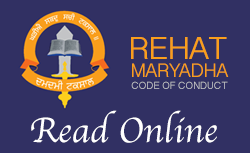 Without an understanding of Gurbani we don't know whether what we read is correct or incorrect." "Go to Dhir Mal (he was the elder brother of Sri Guru Har Rai Sahib Ji and grandson to Sri Guru Hargobind Sahib Ji) who is at Kartarpur Sahib. The fifth Guru, Sri Guru Arjan Dev Sahib Ji who had compiled the Sri Aad Granth had left spare leaves in the Granth for the inclusion of the Ninth Guru’s Gurbani. I will bless you all with the understanding of Gurbani, whilst completing the Granth (with the additional writings of Sri Guru Tegh Bahadur Ji). Now go and supplicate to Dhir Mal to obtain the original Sri Adh Granth Sahib off him which is in his possession." Shaheed Baba Deep Singh Ji along with 24 other Singhs were sarcastically turned away by Dhir Mal with the following message. "If your Guru is the same form as the first and fifth Gurus, then why doesn't he utter the Gurbani of Sri Adh Granth from memory?" (Dhir Mal was in direct opposition of Sri Guru Gobind Singh Jee and had styled himself as a fake Guru). Sri Guru Gobind Singh Ji answered this taunt of Dhir Mal by creating the everlasting form of Sri Guru Granth Sahib Ji. At Guru ki Kanshi, Takhat Sri Damdama Sahib, Sabo ki Talwandi. Shaheed Bhai Mani Singh was the scribe as Guru Sahib Ji uttered Sri Guru Granth Sahib Ji from memory. There were such great blessings that Jap Ji Sahib, Rehraas Sahib and Kirtan Sohila were written on the first morning. On that evening the Gursikh Sangat listened to the meanings of the scribed Gurbani. The meanings of the Gurbani that was scribed in the morning would be explained in an evening discourse (Katha) to 48 Singhs (who attended the whole narration) and the rest of the Gursikh Sangat. Shaheed Baba Deep Singh Ji would complete the Seva (selfless service) of providing the paper, pens and ink for the scribing. In this way within 9 months and 9 days, on the full moon of Katak, Samat 1762 until 1763 Bikrami 23 Savan, the understanding of Gurbani was taught (the correct pronunciations were explained in the evening discourses too). With the inclusion of the ninth Guru’s Bani Sri Guru Granth Sahib Ji was completed, from ੴ to ਸਭੈ ਪੁਤ੍ਰ ਰਾਗੰਨ ਕੇ ਅਠਾਰਹ ਦਸ ਬੀਸ ॥. In this was a great benevolence was done to the world, the liberating Gurbani would now be the eternal Guru in this final manifestation. After listening to this limitless and powerful knowledge, the Gursikh Sangat as well as the atheists were astonished. By listening to Guru Sahib Ji, the Gursikh Sangat were given the opportunity to rectify their lives. The 48 Singhs gained Brahm Gianta (the knowledge of God) and were liberated whilst living. The 48 Singhs reached such spiritual states that they lost all care for the world (knowing only God is the true reality). Seeing this Satguru Ji ordered Shaheed Bhai Mani Singh Ji not to relinquish interacting in the world, but to continue in selfless service teaching others what he had learnt; Guru Ji blessed him with a boon that he would not forget a thing even if he were to get cut piece by piece. Shaheed Baba Deep Singh Ji was also given this command and was blessed with a boon that he wouldn't forget a thing even if his head were separated from his body. Both Shaheed Bhai Mani Singh Ji and Baba Deep Singh Ji stayed with Guru Sahib Ji when they went to Takhat Sachkhand Sri Hazoor Sahib teaching the understanding of Gurbani to other Gursikhs. Just before Guru Ji ascended to Sachkhand, He sent Shaheed Bhai Mani Singh Ji to Sri Darbar Sahib Amritsar and Shaheed Baba Deep Singh Ji to Takhat Sri Damdama Sahib to continue teaching the understanding of Gurbani. Damdami Taksal has been operating under the leadership of Brahm Gianis until the present day and will forever more. Damdami Taksal has been referred to under different names and was fondly referred to as Giania dee Sampardai (the school of scholars) for many years. This website was founded under the leadership of Baba Thakhur Singh Jee Khalsa and represents the views of the Jatha Bhindra of the Taksal which has an unbroken lineage of leaders from Shaheed Baba Deep Singh Jee. The administrators of this website believe in Sant Jarnail Singh Bhindranwale as the leader of the Damdami Taksal and not any other Singh of the Taksal.